For the second time in franchise history, an alum of the York Revolution has reached the Major Leagues. Monday morning, left-handed reliever Justin Hampson was promoted from the Triple-A Buffalo Bisons of the International League to the New York Mets, one of a few roster moves resulting from Mets closer Frank Francisco landing on the 15-day disabled list with an oblique strain. Hampson was a member of the 2010 Atlantic League Champion Revolution, appearing in 11 games out of the bullpen. The following season he joined the Mets organization, pitching all of 2011 in Buffalo, posting a 3.41 ERA in 52 games and 58 innings of relief. 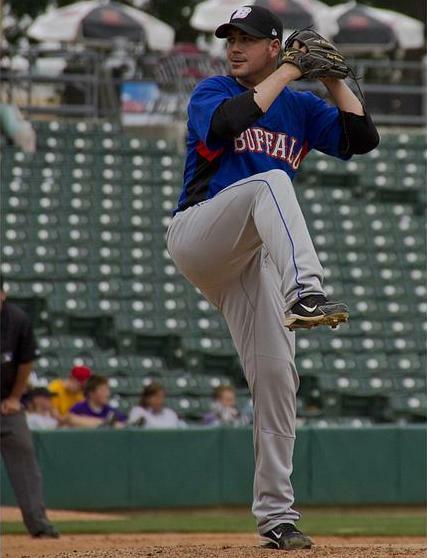 Hampson pitched even better for Buffalo this season. Upon his promotion he had appeared in 28 games, tossing 42 and a third innings, with an ERA over a run better than last season, 2.13. In both seasons with Buffalo combined, Hampson’s strikeout to walk ratio has been better than three to one, with 98 punch outs and only 31 walks since the beginning of 2011. The Mets are Hampson’s third big league team, and this will be the fourth MLB season he’s pitched in. He appeared in five games for the Colorado Rockies in 2006, 39 games for the San Diego Padres in 2007, and 35 more for San Diego in 2008. Four seasons later, Hampson will make his Major League comeback two seasons removed from playing in York, as the Mets begin a three-game series on Monday at Wrigley Field against the Chicago Cubs. For his career Hampson holds an impressive 3.38 ERA in the big leagues, in 79 career games. He has 62 strikeouts in 96 Major League innings pitched. Hampson, 32, was originally drafted in 1999 by Colorado. In the inaugural York Revolution season of 2007, outfielder Tike Redman played the first seven games of the season with the club, before his contract was purchased by the Baltimore Orioles. After going to Triple-A Norfolk, he ended the season in the Majors with Baltimore. While Hampson is the second Revs alum to reach the Majors, the organization currently has a slew of former pitchers in Triple-A. Relievers Scott Rice (Albuquerque, Dodgers), Mike DeMark (Reno, Diamondbacks), and starters Ryan Feierabend (Lousiville, Reds) and Shawn Hill (Las Vegas, Blue Jays) are all a phone call away from a Major League Roster. During the last home stand, word was out Shawn Hill was recovered from injury and pitching well for the Revolution…so well that he didn’t allow a run in the final 27 and two-thirds innings pitched over his final five starts with the club. The Texas Rangers and the Boston Red Sox each had personnel in town to see him pitch. The Seattle Mariners were also asking when his next start would be. But as it turns out, Hill will head back to familiar surroundings for a team in dire need. It was a gruesome week for the Toronto Blue Jays pitching staff, as they lost three starters long-term from June 12 to June 16, shelving Brandon Morrow, Kyle Drabek and Drew Hutchison on the 15-Day DL. Morrow has an oblique strain, while Drabek and Hutchison have more serious elbow sprains. There’s a great chance any or all of the injuries are more serious and will require a longer DL stint. So in a flash, Toronto was in sore need of organizational pitching depth, having to recall players from Triple-A in a hurry. As players shuttle from Triple-A Las Vegas to Toronto, Hill will go from York to Las Vegas, one step away from the Major Leagues with an injury riddled pitching staff. I always say this when the Revs have a guy promoted to Triple-A; but if Hill continues like he has been, a promotion to the Majors and a return to Toronto may not be out of the question. 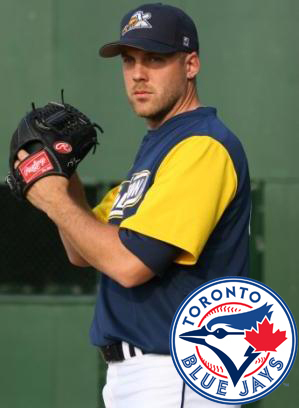 It would be quite a story for Hill, who after missing all of the 2011 season due to injury, last pitched in the big leagues with the Jays in 2010 making four starts, and also made five starts for Las Vegas that season as well. And of course, not only is Hill a native Canadian, but from Ontario as well. Lefty Matt Chico will take Hill’s spot in the rotation, and as coincidence would have it, those two were big league teammates in 2008, each starting for the Washington Nationals. It’s an election year. Then again, if you’re a baseball fan every year is an election year, because there’s always an All-Star Game. 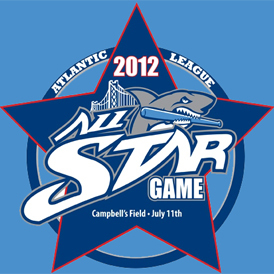 Ultimately, the Freedom and Liberty Division All-Star Teams are decided in a combination of the fan vote, field managers and league office. The pitching staffs for the game are decided solely by the managers and league. Once again, click here for the online ballot. It’s tough to beat the setting at Campbell’s Field in Camden. The Philadelphia skyline shines brightly along the third base side, as the ballpark sits right underneath the Ben Franklin Bridge connecting Pennsylvania and New Jersey. West York Bulldogs: PA Class AAA Champions! The title game was held at Medlar Field at Lubrano Park, across the street from Beaver Stadium on the Penn State campus. It’s home to Penn State Baseball in the spring, as well as the State College Spikes during the summer, the Short Season Class A affiliate of the Pittsburgh Pirates in the New York-Penn League. Feel free to use the hashtags #CityofChampions and #PABaseballTown on twitter this week to talk about York’s latest champions. Hope you die-hard fans are enjoying your weekend away from Sovereign Bank Stadium. If that’s even possible. There’s a World Series preview happening in Washington between the Yankees and Nationals to tide you over until the team returns on Monday. Yeah, I said it. As the Revolution play in Somerset this weekend, here we are on Saturday, and the Revs haven’t allowed a run since the 7th inning on TUESDAY at home against Southern Maryland. The 29-inning scoreless streak is a franchise record and counting, and the three consecutive shutouts are also a franchise first, 10-0 vs. Southern Maryland on Wednesday, and the back-to-back 1-0 blankings of Somerset the last two nights. The lone run in each game was driven in by Ramon Castro, and last night his solo home run in the top of the ninth was the game winner. With Friday’s win, the Revolution climbed over .500 at 24-23 for the first time since opening day at Sugar Land, when they were 1-0. How long will this amazing scoreless streak last? It was announced this morning that former Oriole Chris Waters will make his first start and debut for York this evening at Somerset. So much for the thought that he’d need a couple bullpen outings before he started. We’ll see how deep into the game he can go. 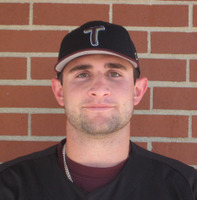 Garceau in the gear of his new club, the Kansas City T-Bones of the American Association. It didn’t take recently released pitcher Shaun Garceau long to find work. The Revolution parted ways with Garceau on June 9, but he was quickly picked up by the Kansas City T-Bones of the American Association. That’s Kansas City, Kansas, not Missouri. As always, there is Atlantic League connection. The American Association is anchored in “Big 12” country, but has an odd number of teams. The Can-Am Association is anchored in the Northeast, and also has an odd number of teams. The separate leagues are governed by the same office, so to rectify the scheduling issues that come with having an odd number, the two-leagues actually have interleague play. Somewhere throughout the season, an American Association team is always playing a Can-Am team in a series. As it would happen, the Newark Bears were making one of those interleague trips to Kansas City, KS. You may remember the Bears being in the Atlantic League, before opting to leave for the shorter-season Can-Am following the 2010 season. They were the 2002 and 2007 Atalntic League Champions, and defeted the Revolution in the first-ever game at Sovereign Bank Stadium in 2007. Garceau was promptly thrown into the fire, making his first start for his new club against Newark on June 12. The results were excellent, as in an 8-1 Kansas City victory the righty tossed six scoreless innings. He allowed just three hits and struck out five. There were plenty of fans on hand to enjoy Garceau’s first start as well: I’m not sure what the promotion was last night but the T-Bones announced a crowd of 10,002 at CommunityAmerica Ballpark. Kansas City and the Winnipeg Goldeyes – a former team of former Revs Vince Harrison and Ian Thomas – are the top two draws in that league. 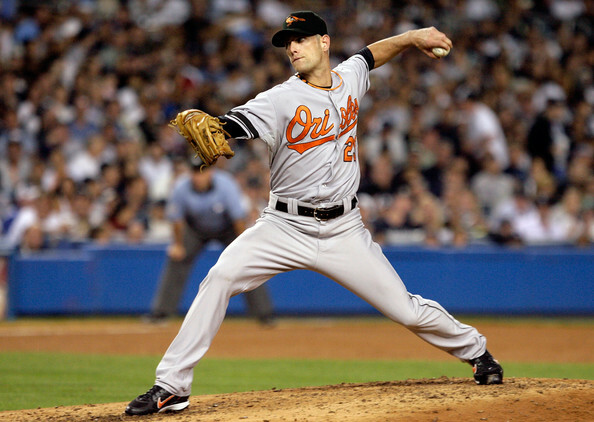 Chris Waters, pitching for the Orioles during the final game at Yankee Stadium on September 21, 2008. The latest Revolution signing of lefty starting pitcher Chris Waters jogged my memory a bit…back to the 2008 season. It was Waters who started the final game at the original Yankee Stadium on September 21, 2008 for the Orioles. Opposite of Waters that day was Andy Pettitte, who pitched five innings and got the win for the Yankees in a 7-3 triumph. Waters tossed five and two-thirds innings, and took the losing decision for the O’s. Waters also surrendured the final two home runs at “The House That (Baltimore native) Ruth” built; a three-run shot to Johnny Damon in the third, and a two-run shot to Jose Molina in the fourth. So although things didn’t go Waters’ way that day, it’s a nice trivia question that will live on with a member of the Revs. As it would happen, Waters and Pettitte are each returning to professional baseball this season; Pettitte out of retirement with the Yankees, and Waters from Tommy John surgery. Waters, 16 months removed from the surgery, last pitched for the Nashville Sounds in 2010, the Triple-A affiliate of the Milwaukee Brewers, making 21 starts. His MLB time was all with Baltimore, making 11 starts (64.2 IP) in 2008, and one start and four relief appearances in 2009 (11.2 IP) before his release and hooking on with Milwaukee. Entering his 12th professional season, Waters, 31, was originally drafted by the Atlanta Braves in the fifth round of the 2000 draft, out of high school in his native Lakeland, Florida. He was with the Braves up to Double-A through 2006, joining the Orioles organization at Double-A the following season. Waters will likely have at least a couple outings out of the Revs bullpen just to get going, before joining the rotation.